Resin Sporting Unity Quiz Trophy. Available in 2 sizes, 105mm and 135mm high. 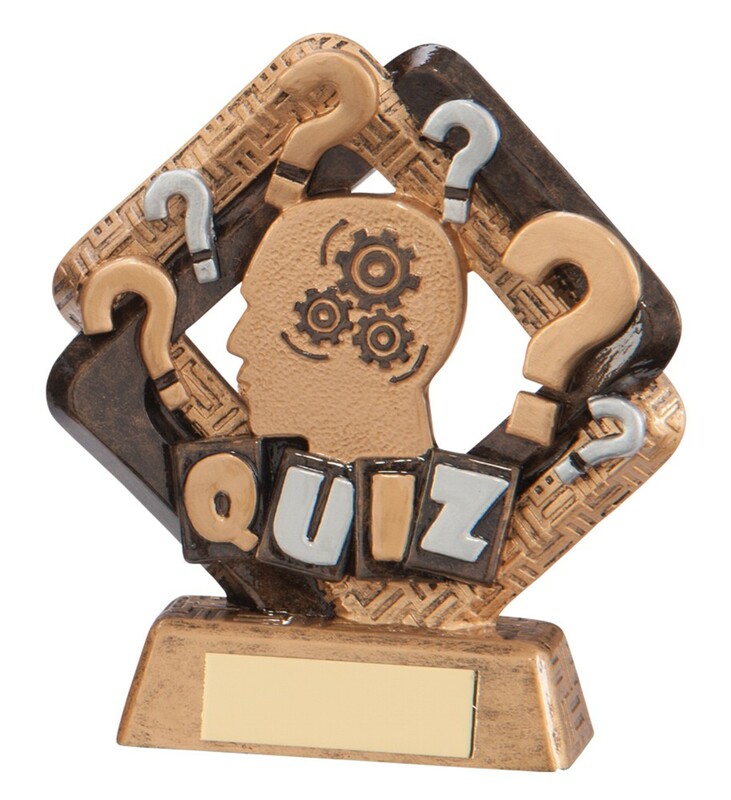 Resin quiz award, antique bronze with gold and silver detail. Great resin quiz trophies.